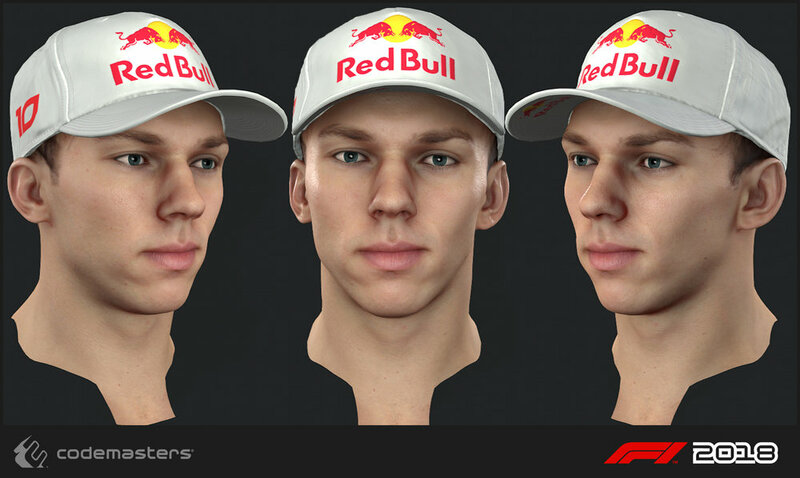 Here's a selection of the driver heads that I worked on for F1 2018, some of which were originally created for 2017 with an update pass done by my lead. 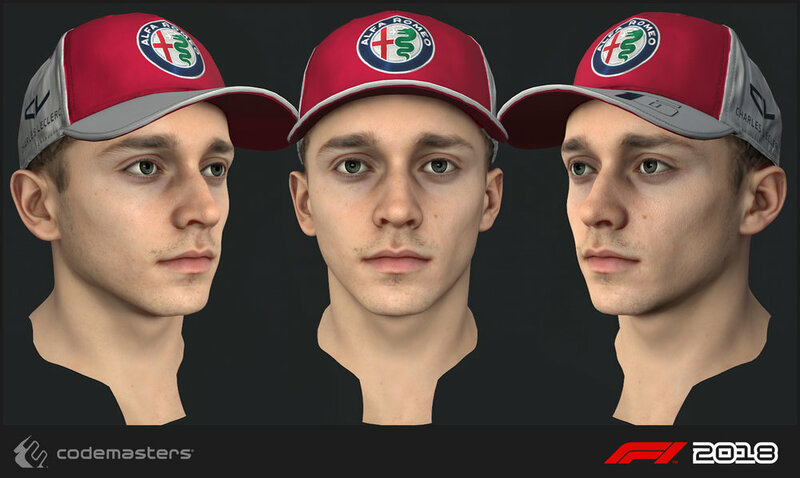 F1 2018 was a great project to work on, we were able to push the characters visually far further than we had on previous years, and getting the experience of heading out and scanning drivers for the game was a lot of fun! Charles Leclerc. Responsibilities: Scanning the driver, high poly creation, texture creation for the head. Pierre Gasly. Responsibilities: Scanning the driver, high poly creation, texture creation for the head. 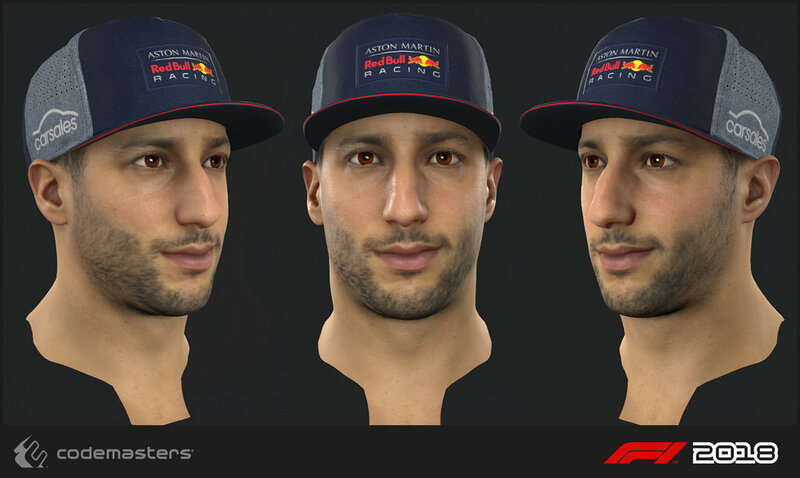 Daniel Ricciardo. Responsibilities: high poly creation, texture creation for the head. My lead Mark Hancock was responsible for a 2018 update pass on the mesh and textures. 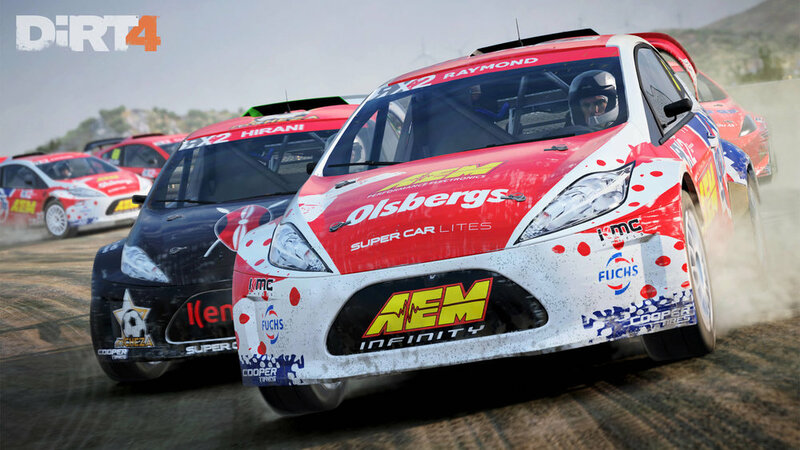 Kevin Magnussen. Responsibilities: high poly creation, texture creation for the head. My lead Mark Hancock was responsible for a 2018 update pass on the mesh and textures. Marcus Ericsson. Responsibilities: high poly creation, texture creation for the head. My lead Mark Hancock was responsible for a 2018 update pass on the mesh and textures. 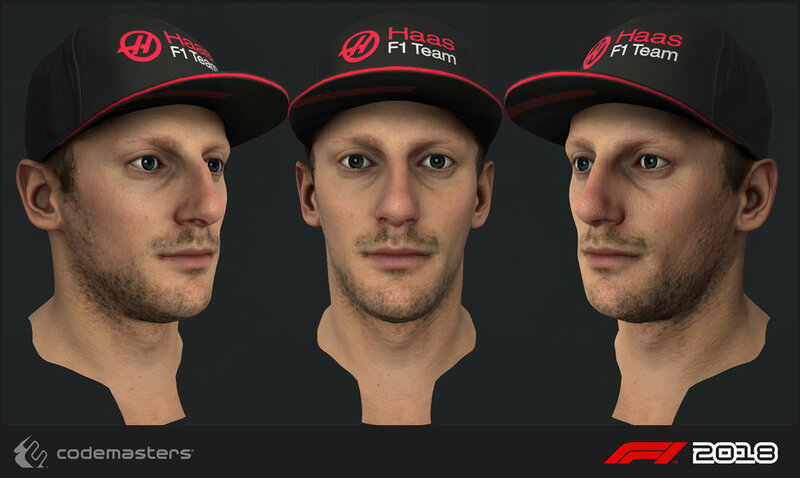 Romain Grosjean. Responsibilities: high poly creation, texture creation for the head. My lead Mark Hancock was responsible for a 2018 update pass on the mesh and textures.